I study linear distributed-parameter systems from an input/output free perspective, mainly passive systems in continuous time. More precisely, the class of systems under consideration is that of state/signal systems. Such a system can be thought of as an input/state/output system, where the input and output have been combined into a single external signal. Under some natural extra assumptions one can also turn a state/signal system into a system with inputs and outputs by decomposing the external signal in a suitable way, see (1,2). In (3), Staffans indicates how seemingly different input/output results can be seen as special cases of an input/output free state/signal result. In this way, a single unified proof can be given for the state/signal setting, rather than a separate proof for every possible input/output case. The intuitive interpretation of a passive system is that it has no internal energy sources, and a conservative system has neither internal energy sources nor internal energy sinks. Passivity brings very useful extra structure to state/signal systems and exploiting this structure seems to be the most promising way to obtain a sensible state/signal theory. By decomposing the external signal of passive state/signal systems in appropriate ways, one recovers the classical classes of scattering passive, impedance passive and transmission passive systems. The behavior of a state/signal system is defined asthe set of all possible external signal trajectories of the system. An interesting current topic is that of realization of a passive behavior by a passive state/signal system in continuous time: given a passive behavior, find a passive state/signal system (usually with some given additional properties) whose behavior is the given one. This problem was studied in discrete time by Arov and Staffans in (4). In the so-called “tearing, zooming and linking” approach to modelling complex systems described by Willems in (5), the main idea is to model a complex system as the interconnection of simpler standard modules, whose individual behaviours are well-known. This method is an obvious motivation for the interconnection theory, but the interconnection theory in itself is also interesting to develop further, because all control of systems is performed by interconnection. It should be emphasized that the type of interconnection that we are interested in is quite general, and it is not covered by the standard feedback theory. In a sense the state/signal theory extends the behavioral theory of Willems to infinite-dimensional systems, and there is also hope to extend the state/signal theory to non-linear systems via the closely related theory of so-called port-Hamiltonian systems. See (6) for more details. (1) Mikael Kurula and Olof J. Staffans, Well-posed state/signal systems in continuous time, To appear in Complex Analysis and Operator Theory, SpringerLink Online First version available with DOI 10.1007/s11785-009-0021-5, 2009. (2) Mikael Kurula, On passive and conservative state/signal systems in continuous time, To appear in Integral Equations and Operator Theory, SpringerLink Online First version available with DOI 10.1007/s00020-010-1787-6, 2010. (3) Olof J. Staffans, Passive linear discrete time-invariant systems, International Congress of Mathematicians. Vol. III, Eur. Math. Soc., Zurich, 2006. (4) Damir Z. Arov and Olof J. Staffans, Two canonical passive state/signal shift realizations of passive discrete time behaviors, Journal of Functional Analysis 257, 2009. (5) Jan C. Willems, The behavioral approach to open and interconnected systems: modeling by tearing, zooming, and linking, IEEE Control Syst. Mag. 27, 2007. (6) Mikael Kurula, Towards Input/Output-Free Modelling of Linear Infinite-Dimensional Systems in Continuous Time, PhD thesis, 2010. 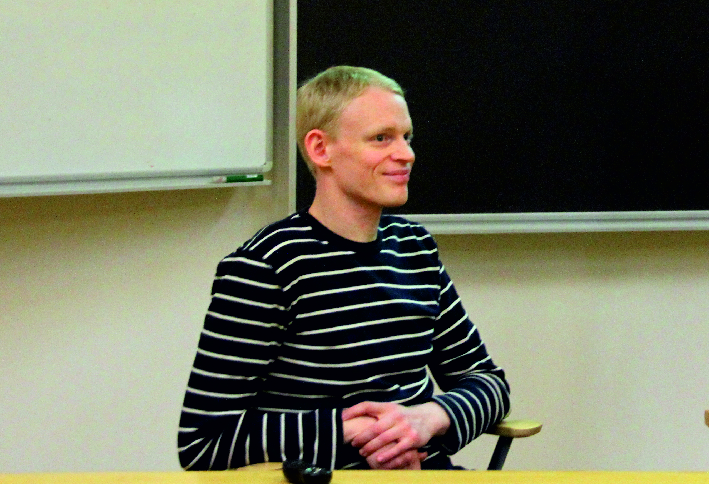 Mikael Kurula obtained his PhD in Mathematics in 2010 from Åbo Akademi University. Currently he is academy lecturer in mathematics at Åbo Akademi University.